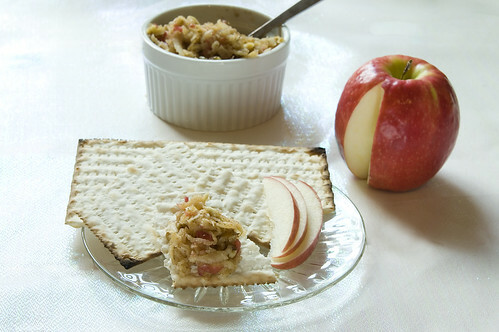 Haroset is a tradition part of the Passover seder, the evening meal that takes place on the first day of Passover. This meal is called a seder, from a Hebrew root word meaning "order," because there is a specific set of information that must be discussed in a specific order. I won't even try to explain all of the happenings of a seder, because it's been so long since I've attended one that I'll only confuse things (like with my Purim explanation), but I will say that they're typically a very fun, if very long, meal. 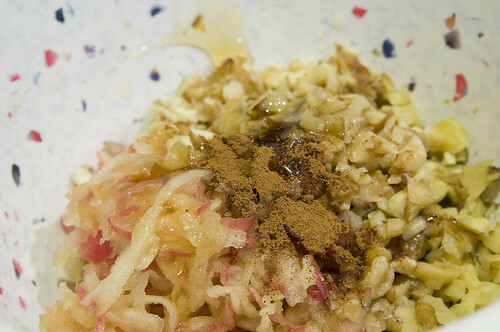 The Haroset, or Charoset, is a mixture of fruits and nuts, and is one of the symbolic foods eaten during the seder. The texture and color of the chopped up mixture is supposed to remind us of the mortar that the slaves in Egypt used to lay bricks for the Pharaoh. 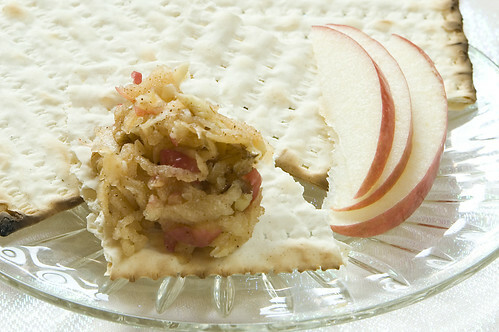 To further the connection, it's typically eaten sandwiched between two pieces of matzo. 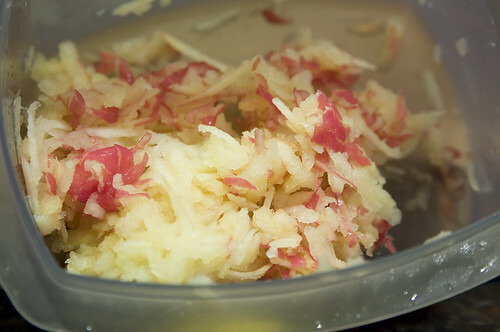 Haroset is a tasty and easy to prepare part of the seder, so let's get to it! 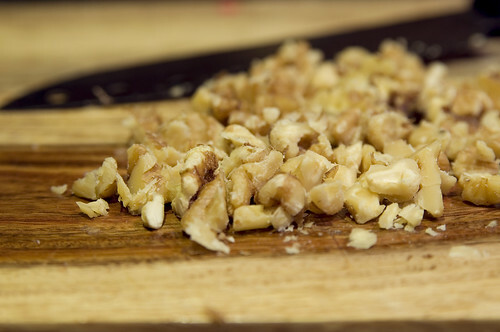 Grate your apples and chop your walnuts. Dump everything in to a bowl and mix it together. I used about 2 tsp. of honey. And you're done! I told you it was simple. 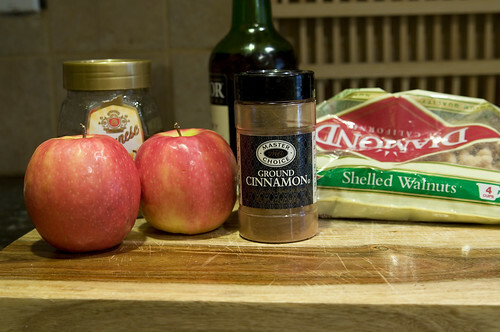 At first I was worried about the apples changing color in the air, since the recipe doesn't have any lemon in it, but then I realized that it was supposed to turn brown. That makes it look more like mortar, get it? Even though it doesn't look pretty, haroset sure is tasty. I love your haroset recipe, mine, well my mother's has apples too but we cook it with other dried fruits. I will give yours a try. Hag Sameah!